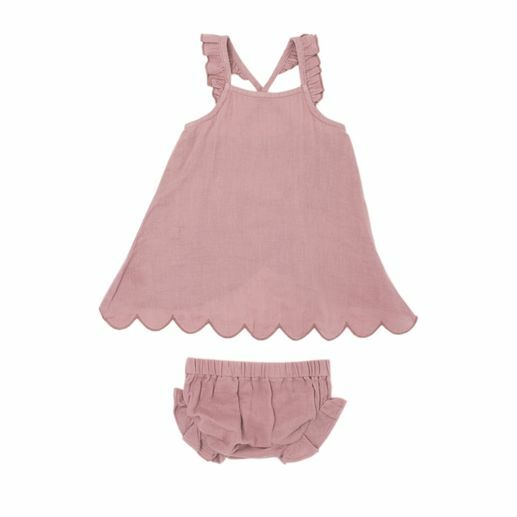 This adorable muslin dress set features a sweet tunic top with flutter straps and swings open in the back and a matching muslin bloomer in lavender. Perfect for the warm days of spring and summer. Made of 100% organic muslin by L'ovedbaby.